I lusted for this polish and hunted high and low but never saw it in my local stores. Thank goodness for fairy angels like Connie, who snagged the last bottle for me at her local store! She travels to my city twice a year and we meet up each time. Our most recent meet up was on Mother's Day weekend and she brought this beauty to me! Wasn't that sweet? I was so excited to have it in my hands and finally get to try it out! And ya'll..... Words just cannot express how impressed I am with this polish! The base color is a very pale smokey lavender, difficult to see on camera but it's there and so beautiful! Next is the holographic effect. This is probably considered scattered, but I could definitely see a rainbow bend when the light hits it, not as pronounced as something like Chanel Holographic, but very beautiful. 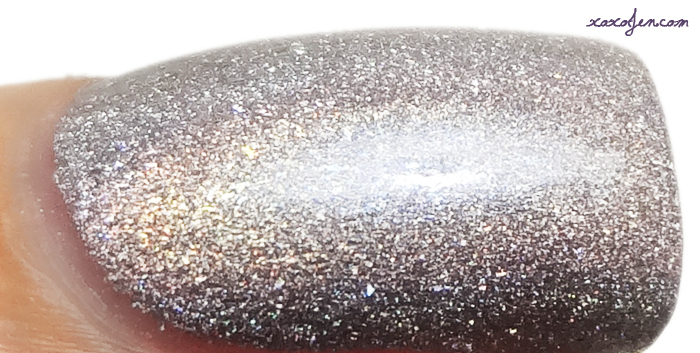 When I hit this polish with the LED on my cell phone, it had the depth of an opal or perhaps real pearls. So shimmery and colorful and just...wow guys! I wore two coats with topcoat for the photos, but really I could not capture it's beauty as seen in person. If you have the chance to get Masked Affair, you'll be glad you did! So neat to see a drugstore come out with such an awesome polish! This polish was so popular and so hunted, as it was (extreme) limited edition and not available outside the States, that inevitably, there was a backlash of nay-sayers to it. I say Post! to them. 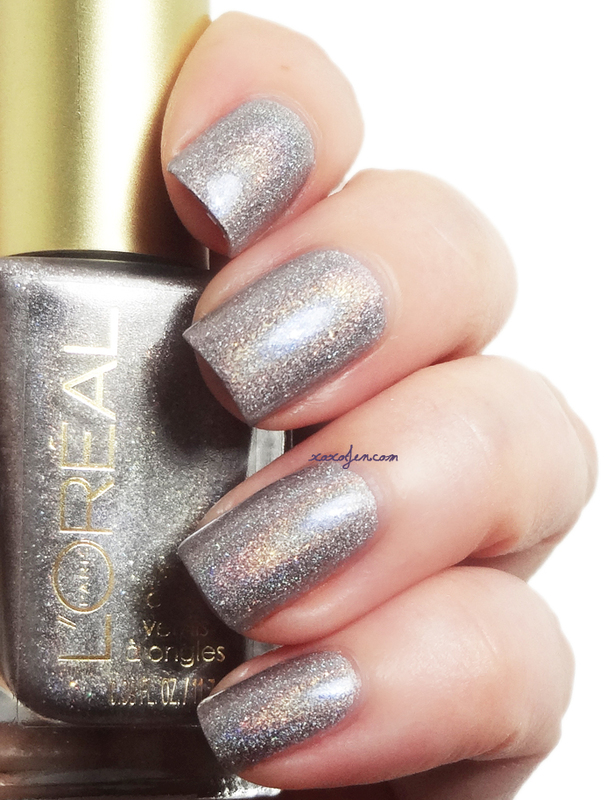 This is one of the most beautiful polishes. I know some people are saying aEngland Princess Tears is a dupe, with better formula. I don't think so - very close but PT doesn't have the color that MA has. And all the other 'dupes' have too much color. This polish stands alone as fantastic! I do really wish that L'Oreal would release it as a core color, or at least make it more available.